“Be you therefore ready also: for the Son of man comes at an hour when you think not” (Luk 12:40). “But as the days of Noah were, so shall also the coming of the Son of man be” (Mat 24:37). “For as the lightning comes out of the east, and shines even to the west; so shall also the coming of the Son of man be” (Mat 24:27). “For as the lightning, that lightens out of the one part under heaven, shines to the other part under heaven; so shall also the Son of man be in His day. But first must He suffer many things, and be rejected of this generation” (Luk 17:24–25). “And at midnight there was a cry made, Behold, the bridegroom comes; go you out to meet him” (Mat 25:6). “And I turned to see the voice that spoke with me. And being turned, I saw seven golden candlesticks; And in the middle of the seven candlesticks one like to the Son of man, clothed with a garment down to the foot, and girt about the breasts with a golden girdle. His head and His hairs were white like wool, as white as snow; and His eyes were as a flame of fire; And His feet like to fine brass, as if they burned in a furnace; and His voice as the sound of many waters. And He had in His right hand seven stars: and out of His mouth went a sharp two edged sword: and His countenance was as the sun shines in its strength” (Rev 1:12–16). Jesus said that He would arrive as He had departed, but do you know the true meaning of His words? Can it be that He told this group of you? All you know is that He will arrive as He left, riding on a cloud, but do you know exactly how God Himself does His work? If you were truly able to see, then how are the words that Jesus spoke to be explained? He said: When the Son of man comes in the last days, He Himself will not know, the angels will not know, the messengers in heaven will not know, and all humanity will not know. Only the Father will know, that is, only the Spirit shall know. Even the Son of man Himself does not know, yet you are able to see and know? If you were capable of knowing and seeing with your own eyes, wouldn’t these words have been spoken in vain? And what did Jesus say at the time? “But of that day and hour knows no man, not the angels of heaven, nor the Son, but My Father only. But as the days of Noah were, so shall also the coming of the Son of man be. … Therefore be you also ready: for in such an hour as you think not the Son of man comes.” When that day comes, the Son of man Himself will not know it. The Son of man refers to the incarnate flesh of God, a normal and ordinary person. Even the Son of man Himself does not know, so how could you know? “He that has an ear, let him hear what the Spirit says to the churches.” Have you now heard the words of the Holy Spirit? The words of God have come upon you. Do you hear them? God does the work of the word in the last days, and such words are that of the Holy Spirit, for God is the Holy Spirit and can also become flesh; therefore, the words of the Holy Spirit, as spoken of in the past, are the words of the incarnate God today. There are many absurd men who believe that the words of the Holy Spirit ought to come down from the heavens to the ears of man. Any who thinks this way does not know the work of God. In truth, the utterances spoken by the Holy Spirit are those spoken by God become flesh. The Holy Spirit cannot speak directly to man, and Jehovah did not speak directly to the people, even in the Age of Law. Would it not be far less likely that He would do so in this age today? For God to speak utterances to carry out work, He must become flesh, else His work cannot accomplish His goal. For several thousand years, man has longed to be able to witness the arrival of the Savior. Man has longed to behold Jesus the Savior on a white cloud as He descends, in person, among those who have pined and yearned for Him for thousands of years. Man has longed for the Savior to return and be reunited with the people, that is, for Jesus the Savior to come back to the people from whom He has been apart for thousands of years. And man hopes that He will once again carry out the work of redemption that He did among the Jews, will be compassionate and loving toward man, will forgive the sins of man, bear the sins of man, and even bear all of man’s transgressions and deliver man from sin. 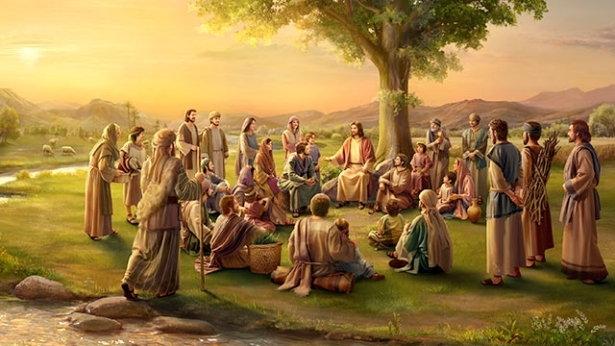 They long for Jesus the Savior to be the same as before—a Savior who is lovable, amiable and venerable, who is never wrathful toward man, and who never reproaches man. This Savior forgives and bears all of man’s sins, and even dies upon the cross for man once more. Since Jesus departed, the disciples who followed Him, and all of the saints who were saved thanks to His name, have been desperately pining for Him and awaiting Him. 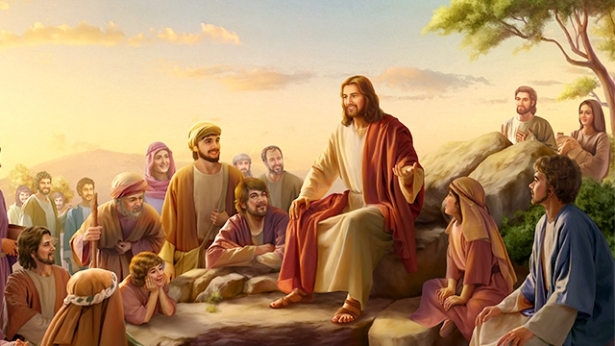 All those who were saved by the grace of Jesus Christ during the Age of Grace have been longing for that joyful day during the last days, when Jesus the Savior arrives on a white cloud and appears among man. Of course, this is also the collective wish of all those who accept the name of Jesus the Savior today. Throughout the universe, all those who know of the salvation of Jesus the Savior have been desperately yearning for the sudden arrival of Jesus Christ, to fulfill the words of Jesus when on earth: “I shall arrive just as I departed.” Man believes that, following the crucifixion and resurrection, Jesus went back to heaven upon a white cloud, and took His place at the Most High’s right hand. Man conceives that similarly, Jesus shall descend, again upon a white cloud (this cloud refers to the cloud that Jesus rode upon when He returned to heaven), among those who have desperately yearned for Him for thousands of years, and that He shall bear the image and clothes of the Jews. After appearing to man, He shall bestow food upon them, and cause living water to gush forth for them, and shall live among man, full of grace and love, living and real. And so on. Yet Jesus the Savior did not do this; He did the opposite of what man conceived. He did not arrive among those who had yearned for His return, and did not appear to all men while riding upon the white cloud. He has already arrived, but man does not know Him, and remains ignorant of His arrival. Man is only aimlessly awaiting Him, unaware that He has already descended upon a “white cloud” (the cloud which is His Spirit, His words, and His entire disposition and all that He is), and is now among a group of overcomers that He will make during the last days. I tell you, those who believe in God because of the signs are surely the category that shall suffer destruction. Those who are incapable of accepting the words of Jesus who has returned to flesh are surely the progeny of hell, the descendants of the archangel, the category that shall be subjected to everlasting destruction. Many people may not care what I say, but I still want to tell every so-called saint who follows Jesus that, when you see Jesus descend from the heaven upon a white cloud with your own eyes, this will be the public appearance of the Sun of righteousness. Perhaps that will be a time of great excitement for you, yet you should know that the time when you witness Jesus descend from the heaven is also the time when you go down to hell to be punished. It will herald the end of God’s management plan, and will be when God rewards the good and punishes the wicked. For the judgment of God will have ended before man sees signs, when there is only the expression of truth. Those who accept the truth and do not seek signs, and thus have been purified, shall have returned before the throne of God and entered the Creator’s embrace. Only those who persist in the belief that “The Jesus who does not ride upon a white cloud is a false Christ” shall be subjected to everlasting punishment, for they only believe in the Jesus who exhibits signs, but do not acknowledge the Jesus who proclaims severe judgment and releases the true way of life. And so it can only be that Jesus deals with them when He openly returns upon a white cloud. They are too stubborn, too confident in themselves, too arrogant. How could such degenerates be rewarded by Jesus? The return of Jesus is a great salvation for those who are capable of accepting the truth, but for those who are unable to accept the truth it is a sign of condemnation. You should choose your own path, and should not blaspheme against the Holy Spirit and reject the truth. You should not be an ignorant and arrogant person, but someone who obeys the guidance of the Holy Spirit and longs for and seeks the truth; only in this way will you benefit. Previous：What are God’s promises to those who have attained salvation and been perfected? Next：What is the incarnation? What is the essence of the incarnation?